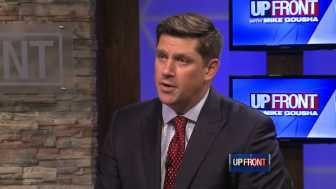 (Joshua Paladino, Liberty Headlines) Republican Senate candidate Kevin Nicholson of Wisconsin is no longer on speaking terms with his mom and dad, who are Democrats. Nicholson is running for the GOP nomination in Wisconsin’s Senate race against Leah Vukmir, a member of the Wisconsin Senate. He hopes to unseat Sen. Tammy Baldwin, D-Wisconsin, in the general election. As a sign of their distaste for their son’s politics, Michael and Donna Nicholson both contributed the $2,700 maximum amount to Baldwin. Nicholson’s parents raised him as a Democrat, but he said he no longer shares their political views. Nicholson even served as the president of College Democrats of America in 2000 and spoke at the Democratic National Convention, CNN reported. “My parents have a different worldview than I do, and it is not surprising that they would support a candidate like Tammy Baldwin who shares their perspective,” Nicholson said. In an interview on “Fox and Friends,” Nicholson explained how he became conservative. Nicholson also spent time as a rancher, which taught him the value of labor.